Who ever said you can't teach an old dragon new tricks was certainly wrong. In our Herp Video of the Week, from the London Zoo, keepers are working with target training their Komodo Dragons! Only minutes earlier we had found on the pavement one of the prettiest little banded water snakes I had ever seen. Jake and I were up in Columbia County, Florida, and although conditions were a bit wet and cool, a few interesting snakes were crossing. Garters, ribbons, waters, a corn, and a yellow rat had been seen. Actually our target for the night was a living example of the rough earth snake, Haldea (formerly Virginia) striatula, a tiny burrowing species. A few days earlier we had been on the same roadway and had seen 3 rough earth snakes. Sadly all had been DOR. Since both Jake and I wished to upgrade our photos of this species, we had decided to try our luck once more. Not only had we seen none, but until finding the little water snake mentioned above we had not seen anything of great interest. We had just about given up on finding our target that night when, on the last pass, the rain having nearly stopped: bingo! An earth snake, the only one seen that night, was slowly crossing in front of us. Success! 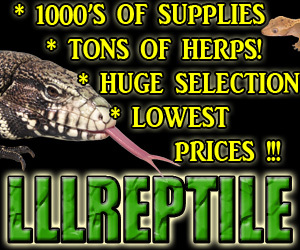 Note: Based on genetic findings, the generic name of Haldea has recently been resurrected for this small snake. Whether this will be accepted remains to be seen. Continue reading "Rough road herping: finding a rough earth snake"
Three days after Judge Moss ruled that he would be granting USARK a preliminary injunction, the Center for Biological Diversity (CBD) filed a joint motion along with the Humane Society of the United States (HSUS) to intervene in USARK’s case. 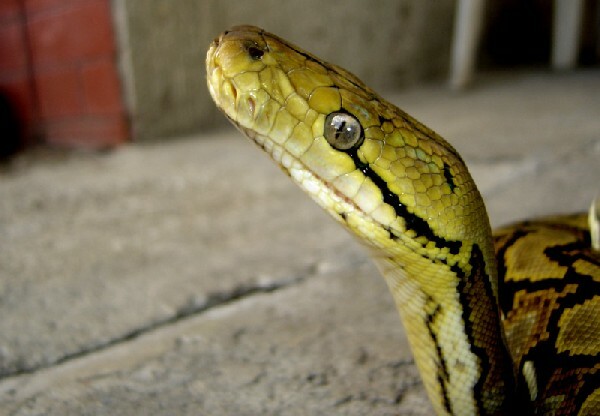 The extreme position of CBD had been announced promptly after the Lacey Act listing of reticulated pythons and three anaconda species by Collette Adkins, a CBD attorney and biologist focusing on reptiles and amphibians: "Unfortunately, it appears that the agency caved to pressure from snake breeders in its decision not to restrict trade in the boa constrictor — a snake that is clearly damaging to U.S. wildlife." USARK has filed to oppose joint intervention by HSUS and CBD. It seems very unlikely that CBD and HSUS will be allowed to intervene in the PI stage of the case, which would allow them to immediately appeal the PI even if USFWS decides not to appeal the PI at this time. (See my earlier discussion of a potential appeal of PI by USFWS.) Fortunately, the time period for CBD and HSUS to appeal the PI on their own has now expired. It is also possible that the court will deny the motion to intervene because neither CBD nor HSUS established standing in their supporting declarations. Even if allowed to intervene, it is likely that the judge will limit the issues on which CBD and HSUS will be allowed to participate. For the basics on the PI, please see http://www.kingsnake.com/blog/archives/2929-The-injunction-against-USFWS-What-you-need-to-know-now.html. Whenever I am visiting an another state or city, I make sure that I get in touch with a snake rescuer in that area. And that is exactly what I did when I was leaving for Nagpur with my family. Nagpur is a district in Maharashtra which is about a day's drive away from my place. I was supposed to be visiting Nagpur to attend a wedding ceremony with family, but to be frank I was not at all interested in the wedding! All I ever wanted was to explore new snakes in Nagpur and I got one. The stout sand snake (Psammophis longifrons) is a common non-venomous snake found in Nagpur, but was new for me. After attending some rescues of cobras and vipers with the local snake rescuer, I found this sand snake on the third day of my visit. The stout sand snake is thick and it moves fast. The body is uniform brown with black-edged smooth scales. The maximum length is 123 centimeters and it is oviparous by nature. I attended many more rescues on that trip - and it took some convincing from my mom, but I also attended the wedding! While returning I was really happy as I was leaving with some sweet memories of stout sand snake.